Earle Everard "Pat" Partridge was born on 7 July 1900 in Winchendon, MA. He enlisted in the U.S. Army in July 1918 at Fort Slocum, NY, and was assigned to the 5th Engineer Training Regiment at Camp Humphries, VA. He went to France in August 1918 to join the 79th Division, and participated in the Battle of Saint-Mihiel and the Meuse-Argonne Offensive. When the Division returned to the U.S. in June 1919, he was honorably discharged. He spent a year at Norwich University and then reenlisted in the Army in June 1920. 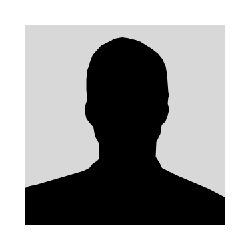 He received an appointment to the U.S. Military Academy and graduated in 1924. At that time, he was commissioned as a Second Lieutenant in the Army Air Service. Partridge received his flight training at Brooks and Kelly Fields, TX. He served with the 3rd Attack Group at Kelly, where he was a flying instructor until September 1929. In 1927, he was an un-credited stunt pilot on the movie 'Wings' the first film to ever win the Academy Award for Best Picture. 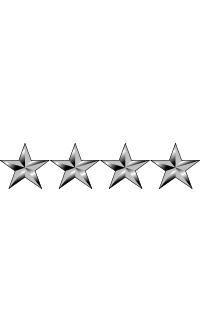 He was promoted to First Lieutenant in December 1928. Partridge taught mathematics at West Point for a year and then went to the Canal Zone with the 6th Composite Group at France Field. He was promoted to Captain in April 1933 and became Adjutant and Assistant Operations Officer of the 1st Pursuit Group at Selfridge Field, MI, in the spring of 1933. He later served there as Commanding Officer of the 94th Pursuit Squadron. In mid-July 1936, Partridge became a test pilot at Wright Field, flying many of the planes that were later used in World War II. He completed the Air Corps Tactical School at Maxwell Field, AL, and the Command and General Staff School at Fort Leavenworth, KS. From 1938-40, he was an Instructor at the Air Corps Tactical School, Maxwell Field, AL. He became a Major in March 1940 and helped establish single-engine flying schools at Barksdale Field, LA and Dothan, AL. From 1940 to March 1941, he was Director of the Pursuit Pilot Training School, at Barksdale Field, LA; after March he was at Craig Field, Alabama until later in 1941 he was Commanding Officer of the Air Corps Advanced Flying School, in Dothan, AL. Major Partridge was a member of the Air War Plan's Division at Headquarters U.S. Army Air Forces in Washington, DC from October 1941 until March 1942. He was promoted to Lieutenant Colonel in November 1941. He became a Colonel March 1942 and a member of the Joint Strategy Committee, Strategy and Policy Group of the War Department General Staff. Partridge was promoted to Brigadier General in December 1942 and appointed Commanding General of the New York Air Defense Wing at Mitchel Field, NY. In the spring of 1943, Partridge went overseas as Operations Officer for the Northwest African Air Force. He then served as Assistant Chief of Staff for Operations and Training (A-3), XII Bomber Command, Constantine, Algeria; in July 1943 he was Chief of Staff of the XII Bomber Command, Tunis, Tunisia. Next, he was Chief of Staff of the Fifteenth Air Force, then Deputy Commanding General of the Fifteenth Air Force in Bari, Italy. He moved to High Wycombe, England in January 1944 as Deputy Commander of the Eighth Air Force and became a Major General in May. One month later, he became Commanding General of the 3d Bombardment Division, then Commanding General of the 3d Air Division, both located at Camp Blainey, England. He became Deputy Commanding General of the Eighth Air Force in August 1945, assisting in its reorganization and movement to Okinawa. Later that year, he was Commanding General of the Eighth Air Force, Okinawa. In January 1946, Partridge returned to Headquarters U.S. Army Air Forces in Washington as Assistant Chief of Staff for Operations. In 1947-48 he was Director of Training and Requirements, Headquarters U.S. Air Force, also in Washington. He went to Nagoya, Japan in October 1948 as Commanding General of the Fifth Air Force and, during that command, he served through the first year of the Korean War from Seoul and at Taegu AB, South Korea. He was promoted to Lieutenant General in April 1951 and assigned as Acting Commanding General of the Far East Air Forces (FEAF), Tokyo, Japan. 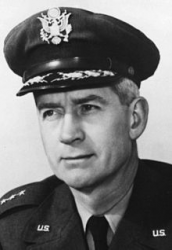 On his return to the U.S. in June 1951, Partridge was Acting Commanding General, then Commanding General, of the Air Research and Development Command in Baltimore, MD. In June 1953, he went to Headquarters U.S. Air Force in Washington as Deputy Chief of Staff for Operations. He went to Tokyo, Japan in April 1954 as a four-star General and became Commander of the Far East Air Forces (FEAF). Partridge returned home in July 1955 and was named Commander of the Air Defense Command, Ent AFB, CO. From 1957-59 he served as Commander-in-Chief of the North American Air Defense Command (NORAD), Ent AFB, CO; his final assignment before retirement. General Partridge retired from active duty on 31 July 1959. The President of the United States of America, under the provisions of the Act of Congress approved July 9, 1918, takes pleasure in presenting the Distinguished Service Cross to Major General Earle Everard Partridge (AFSN: 0-15502/33A), United States Air Force, for extraordinary heroism in connection with military operations against an armed enemy of the United Nations while serving as Commanding General, FIFTH Air Force, in action against enemy forces in the Republic of Korea from 14 July to 28 September 1950. During this period General Partridge personally, and at the risk of his life from enemy ground fire and enemy air patrols, performed repeated reconnaissance flights in unarmed aircraft deep into enemy territory and over the enemy front lines. He performed many of these flights with his Army counterpart, Lieutenant General Walton H. Walker, in order that they as a team could better perform their respective duties. Included in these flights were the first night reconnaissance missions flown by the United Nations Forces. The knowledge gained by General Partridge from these reconnaissance flights was invaluable to him in making tactical decisions and contributed largely to the successful accomplishment of his mission and the ultimate success of the United Nations Forces in driving the invading enemy back to the 38th Parallel. In addition to the above, and with personal disregard not only of health but of life itself, he was constantly present at the most advanced Air Force bases and on the battlefield at great personal risk, inspiring personnel of his command and other United Nations Forces with his own aggressiveness and courage. Where acts of courage were common, General Partridge's fearlessness and courageous leadership were outstanding. The President of the United States of America, authorized by Act of Congress, July 9, 1918, takes pleasure in presenting the Silver Star to Major General Earle Everard Partridge (ASN: 0-15502/33A), United States Air Force, for gallantry in connection with military operations against an opposing armed force while serving as Commanding General of the FIFTH Air Force, in Korea. Major General Partridge distinguished himself by conspicuous gallantry in action in the Korean campaign during the period 19 through 20 October 1950. On 19 October General Partridge made a reconnaissance flight over P'yongyang and, in spite of heavy ground fire aimed at his unarmed aircraft, directed air attacks which enabled forward units of the First Cavalry Division, U. S. Army, and the First Division, Republic of Korea, to hold their positions against the enemy. On 20 October, accompanied by his Army counterpart, Lieutenant General Walton H. Walker, commanding General of the Eighth Army, he flew an unarmed aircraft at low altitudes over the Sukch'on and Sonch'on areas, reconnoitering well behind enemy lines in preparation for the parachute drop of the 187th Regimental Combat Team. He remained to observe the activities of Air Force units participating in the attack. He also reconnoitered in the Chinnamp'o area where his aircraft was hit by automatic weapons and small arms fire. On 20 October, General Partridge made one of the first landings at the P'yongyang airport in order to make certain that this airport was sufficiently secure to permit the landing thereat of the Commander-in-Chief, United Nations Command. During the flights of 19 and 20 October, General Partridge's aircraft was also subject to attack by enemy aircraft known to be based at Sinuiju. The knowledge gained from these missions was invaluable in making tactical decisions and contributed largely to United Nations successes in North Korea. General Partridge's aggressiveness and courage in these instances have been outstanding sources of inspiration to the personnel of this command. They are in keeping with the highest traditions of the military service and reflect great credit on General Partridge and the United States Air Force. Entered military service from Massachusetts. In 1957, General Partridge served as a technical advisor on the movie "Battle Hymn" starring Rock Hudson. The movie was the real-life story of Colonel Dean E. Hess, a U.S. Air Force fighter pilot in the Korean War. Partridge also provided the on-screen introduction to the movie. In March 1958, General Partridge married Elizabeth Strong "Betsy" Cowles of Colorado Springs, CO, Alpinist and member of the 1950 American Expedition to Mount Everest. It was the second marriage for both. Betsy preceded him in death, dying of cancer in 1974. General Earle Everard "Pat" Partridge, a man who participated in World War I, World War II, and the Korean War, and who rose from Private to four-star General, died on 7 September 1990 at the age of 90 in Jupiter, FL. General Partridge introducing the movie "Battle Hymn" that starred Rock Hudson and was released in 1957. Photo courtesy of Universal Studios. 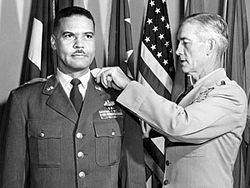 General Earle Partridge (right) pins the single star of a Brigadier General on Benjamin Oliver Davis, Jr., making Davis, on October 27, 1954, the first African-American general in the U.S. Air Force.